Your tax bracket is determined by your taxable income after credits and deductions. 2. Do Montana Residents Pay State Income Tax on Social Security Benefits? 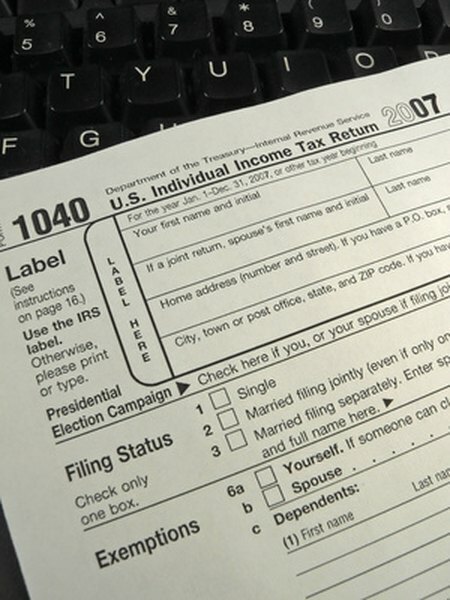 Your marginal tax bracket can have a significant effect on your after-tax investment results. The knowledge of your tax rate helps you decide whether you are in good shape with taxable investment choices, or whether you should be looking for some tax-free or tax-advantaged investments. The U.S. income tax system includes rising tax rates as a taxpayer's income increases. At the time of publication, the lowest federal tax rate is 10 percent, and then the rate steps up five times to a top tax bracket of 35 percent. The top bracket kicks in for single or married filing jointly taxpayers with a taxable income of $388,350. Each year the IRS takes inflation into account and adjusts the amount of income required to reach each of the different tax brackets. Your highest tax bracket is the tax rate you pay at your taxable income level. The taxable income on your tax return comes from the total of all of your sources of income and reduces the total by your exemptions, deductions and tax credits. Find your taxable income from last year by looking on your tax return. The income on which you actually pay taxes is listed on line 43 of IRS Form 1040 or line 27 if you filed a Form 1040A. Estimate your taxable income for the current year using your expected income for this year compared to what you reported for total income -- line 22 or 15, respectively -- last year. Look up the federal income tax brackets for the current year and determine in which bracket your taxable income falls. For example, a married couple with a taxable income of $100,000 is in the 25 percent tax bracket. You pay the tax rate in each bracket up to the income cutoff, then the tax rate in the next bracket until you hit your highest bracket. The couple with the $100,000 of taxable income would pay 10 percent on the first $17,400, then 15 percent up to $70,700 and their marginal tax rate of 25 percent on the income above $70,700. You will also pay state income tax in most states, so look up your state income tax bracket, as well. Each state has its own rules concerning how taxable income is determined. Use your last state tax return to find your taxable income and look up the state income tax brackets. Your total marginal tax bracket will be your federal income tax bracket plus your state income tax bracket.